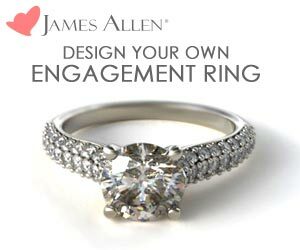 This 1 3/8 ct halo setting by Neil Lane from Kay Jewelers can yield $1200 in Instant Rewards. Read on to find out how. 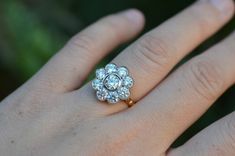 Are engagement ring and wedding band purchases in your future? 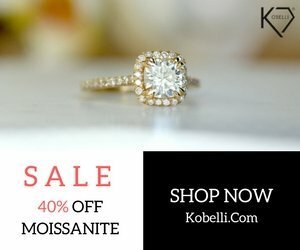 If so, you’ll want to take note of the great sale going on now at Kay Jewelers. 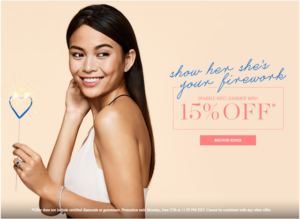 It’s called “Instant Rewards” and while the name may be a little confusing, it is a great deal for anyone getting ready to make a few jewelry purchases leading up to a wedding. 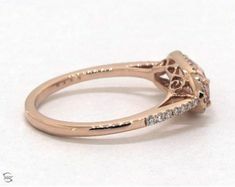 Let’s say you are about to purchase this Neil Lane engagement ring priced at $3,289 from Kay Jewelers. With Instant Rewards, you will get $100 to spend later for every $300 you spend on this purchase. 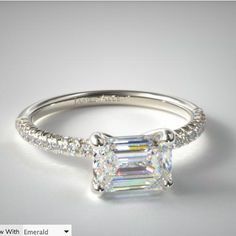 $3,749 divided by 300 gets you $1200 in “Instant Rewards” on this ring that can be redeemed on a later purchase until January 31, 2015. 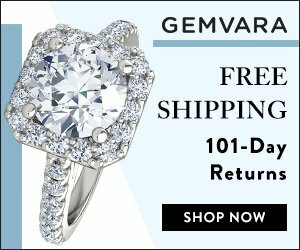 Rewards are earned based on your total purchase price including tax and can be earned even when you finance your ring with Kay’s credit card. So how do you redeem these rewards? Well, similar to how they were earned, instant rewards can be redeemed $100 at a time on purchase increments of $300. 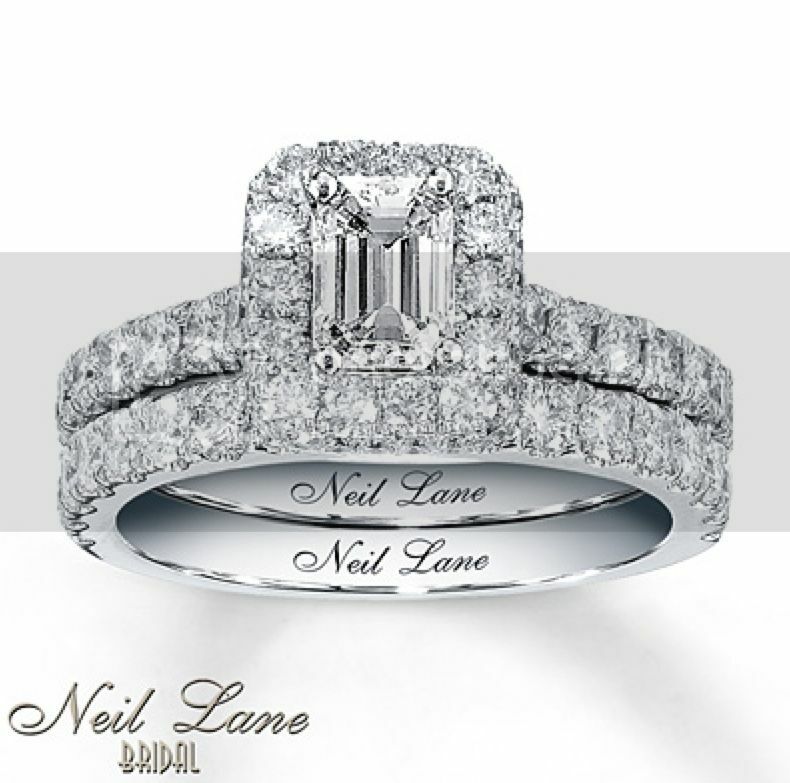 So let’s say you wanted to buy the matching wedding band by Neil Lane that costs $1250. Divide that by $300, and you see that you can redeem $400 of your instant rewards on this purchase. Now what do you do with the remaining $800 in instant rewards? You have a few options. 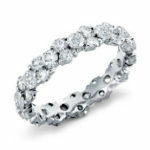 Buy your man’s wedding band, like this two-tone one for $1149, and redeem another $300 on this purchase. Then, you can pick up a pair of diamond stud earrings, or some dangly ones for the big day and redeem even more of your Instant Rewards. Tired of buying jewelry? You can even share your rewards with a friend and let THEM save with it. How’s that for a great stocking stuffer? EXCLUSIVE! 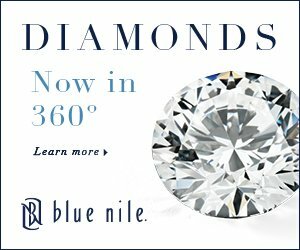 Save 15% at Blue Nile with My Coupon Code!